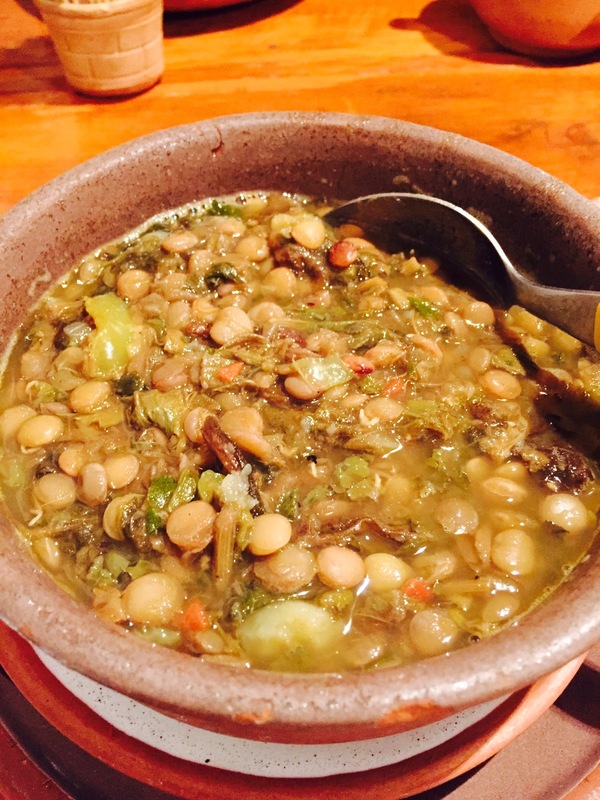 I became enamored with aveluk, wild sorrel, after having dined on aveluk soup in a restaurant in Yerevan in 2015. 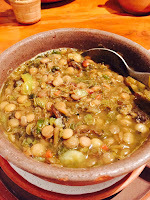 Aveluk grows wild on the hillsides in certain regions of Armenia, and is a commonly served in soups and salads. Finding it in the US is next to impossible, unless you live in or near Glendale, CA where you can find almost every Armenian product. 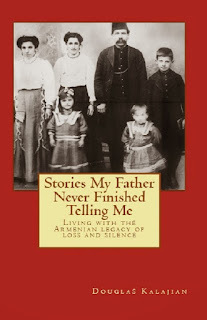 The first leg of our trip to Armenia that year took us to London where Doug and I met Rubina Sevadjian Kingwell at the London Book Fair. 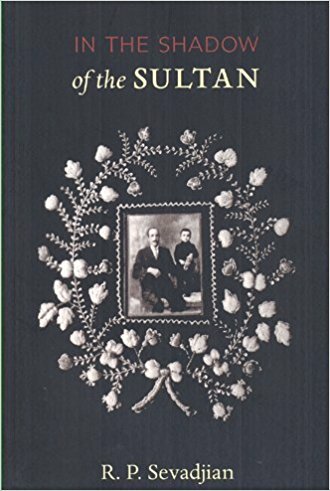 They both presented their books at the Armenian Pavilion - Doug’s, “Stories MyFather Never Finished Telling Me”; Rubina’s, “In the Shadow of the Sultan”. The three of us instantly became friends. Rubina travels constantly, continues to write, has speaking engagements on various continents, yet manages to find time to garden and cook. When I told her I couldn’t find sorrel in Florida, this dear woman shipped me a packet of sorrel seeds from England! Doug, our resident gardener, had the privilege of planting and sowing the seeds. We don’t have a proper garden because our community’s homeowner’s association doesn’t permit residents to grow edible plants unless it’s done in the confinement of our private patios. So be it. 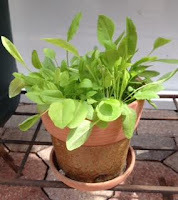 Despite the fact that our sorrel was grown in a small pot, we managed to get a mini crop. 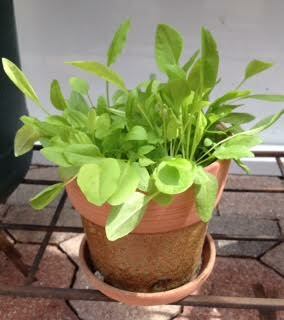 We watched in amazement as the sorrel grew! The young, tender leaves have a delicate tartness, but as the leaves get larger they become more acidic. 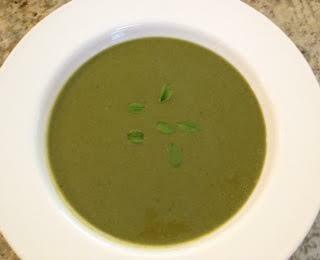 Rubina sent me 2 of her favorite recipes using sorrel, but I made something a little different. All three recipes are listed below. I can't thank Rubina enough for her kindness, and for giving us the opportunity to have the ‘sorrel experience’ in south Florida. In a large saucepan, heat the olive oil over medium heat. Sauté the onion until it begins to soften. Add the garlic, and sauté for about 30 seconds, but don’t let the garlic burn. Add the broth (and bouillon, if using) and increase the heat to medium-high, bringing it to a boil. Stir in rice, reduce heat to a simmer, cover the pot and cook for about 12 to 15 minutes or until the rice softens. 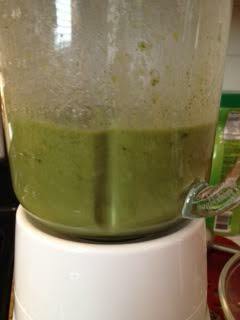 Stir in spinach and sorrel. Add the lemon juice, if using; season with salt and pepper, to taste. Cook, covered, for an additional 5 minutes on a gentle boil. 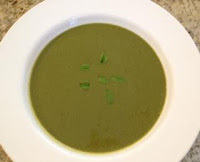 Return soup to pot, taste, adjust seasonings if necessary; heat soup through on medium-low heat; serve. To Serve: Serve as is, or you can swirl in a bit of cream just before serving, or top it with a dollop of plain yogurt! Heat the oil in a saucepan. Peel the garlic and crush them whole, then cook them in the oil until just browning. Add the chopped sorrel and stir. 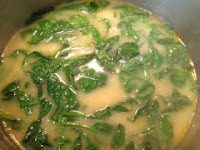 As soon as it is wilting, add the stock and simmer for 15 minutes or so. Puree the above and reheat until it begins to quiver, add salt and pepper to taste. Just before serving, whisk the eggs and then fold into the soup, whisking all the time. It should make a ‘foam’. Another way of using sorrel is that when you make spinach beuregs--you add a bit of sorrel to give the filling a lovely lemony tang. Try it. Sauté the tenderloin slices in butter until done, about 4 mins each side. Remove and keep warm. In the same pan cook the garlic, but do not allow to brown. Add the stock and reduce by half, add the sorrel and cream, cook for 5 minutes until thickened. Season with salt & pepper. Place pork on a plate and pour sauce over. Garnish with more sorrel. This goes best with simple boiled and buttered rice, preferably basmati. Funny. I was just reading a recipe for schav in the New York Times. Very similar to the first recipe but uses potatoes instead of rice. 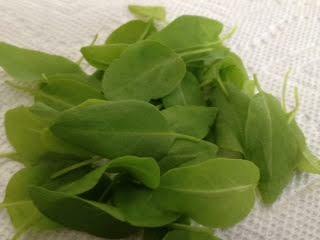 Since I have some dried aveluk (mountain sorrel), I think I'm going to give your recipe a whirl, but serve it ice cold with a dollop of sour cream instead of yogurt. See how that turns out. 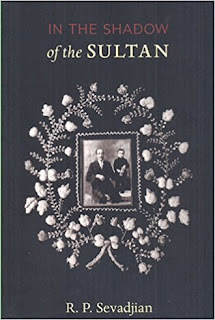 I saw that, too, Ara, and wondered if the NYT folks have been reading The Armenian Kitchen! Please promise you'll let me know how the chilled aveluk soup turns out.